She says that she is a heavy romantic. But heavy is mainly the glass that she works with, as well as the technique she uses. 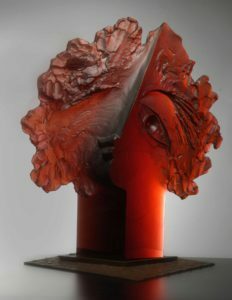 Still, the work by blanka adensamová, a glass artist, makes a light impression. She can do miracles: to capture the transformation of fervent glass material into crystal ice in a fleeting moment.